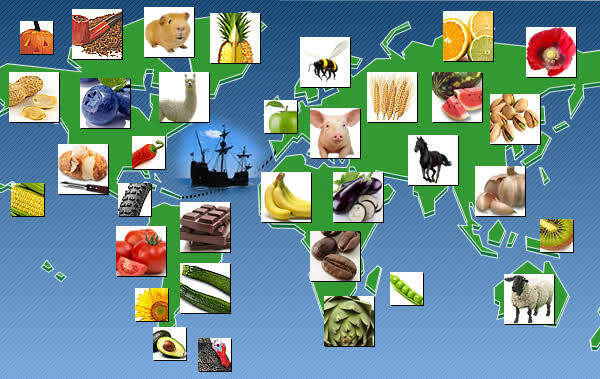 Can you name the domesticated plants and animals of The Columbian Exchange? 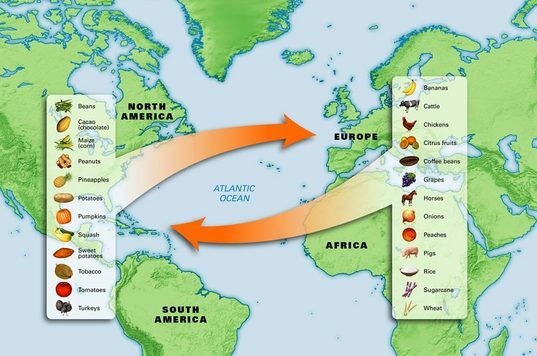 This map shows the routes of early European explorers who came to North America. Covering such vast areas, these explorations took time. How many years passed between the first and the last of these explorations? Map. Explorers often followed rivers into the interior of North America as they searched for a route across the country. 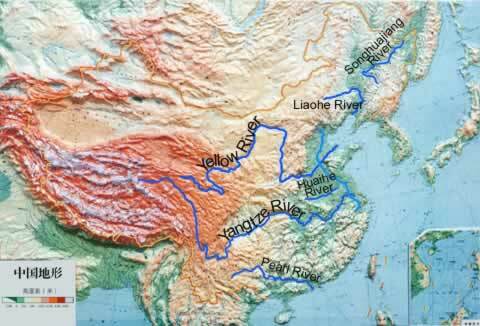 Name three rivers that were important to the explorers on this map. Map. 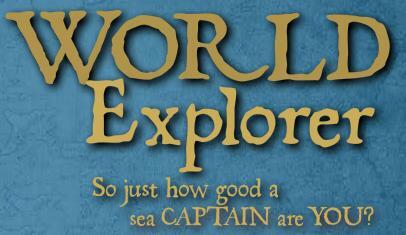 Choose one explorer shown on the map, and write a description of his journey. Use the map to tell what direction he traveled in and the oceans or rivers that he crossed. 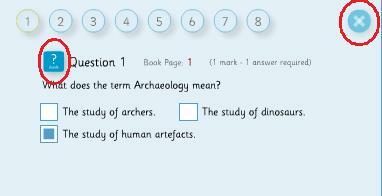 Use other resources to add more details to your description. Map. 2. ​Click the Question icon. 3. Select the correct answer. 4. Click the small question icon. 5. ​Click X to return to the story. ​When complete, click summary button to see your score. What did they use to hunt with in the Stone Age? How did they cook? 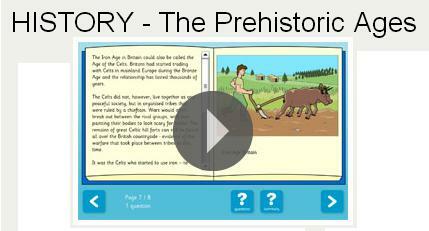 Go to this site and learn about the tools that the people of this time period had to use. Do you have any idea how a fossil forms?The truth is, it needs to be buried quickly so that it is protected from scavengers and weather.Would you place a dead animal on the beach, in the grass, or maybe under a rock? 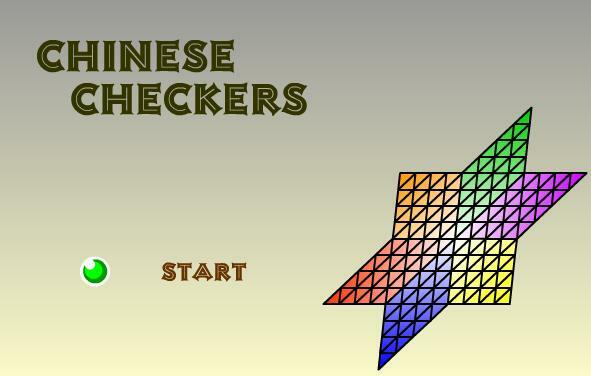 Try different locations in this simulation game. What you find out may be very interesting! Today we have battery-powered tools and electrical appliances, but at one time life was not so easy! Play this game and discover what types of objects people used as fishing tools, cooking utensils, toys, and more before the advent of modern technology. 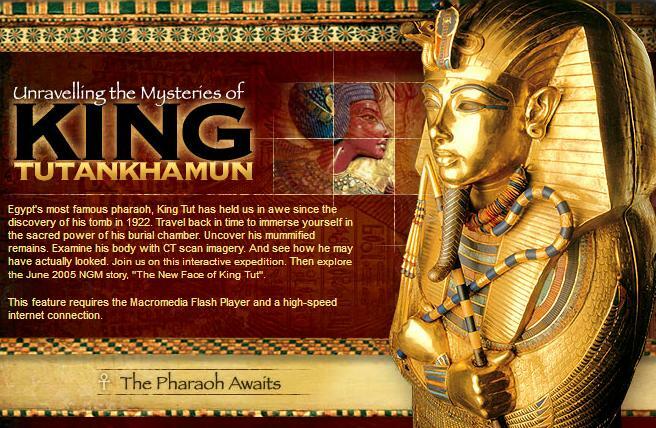 Visit this website and help solve an ancient mystery with Dr. Dirt, the armadillo archeologist! Get ready to dig in and discover what the ancient Texans used to eat. Are you ready to go on a dig? You are an archeologist on a dig in the backyard. As you uncover objects, your mission is to determine about how old they are. Drag each one to the Roman, Medieval, Victorian, or Modern period. 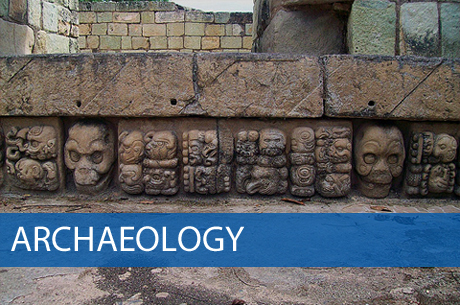 Learn how to think like an art appraiser or an archaeologist! 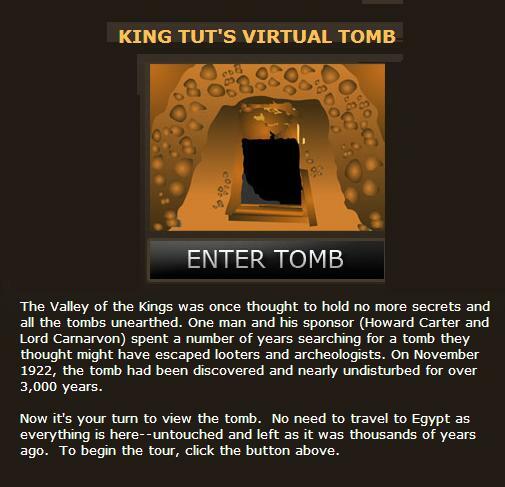 In this simulation activity, you will select an artifact. Rotate it and view it from all sides. By asking questions about it, and by using scientific equipment, you will determine what it is, when it was made, who owned it, and more. Analyze all three artifacts! Hunt the Ancestor - Complete your dig before the developers move in. Time and money are running out and the developer's diggers are wanting to move onto the site of a dig. 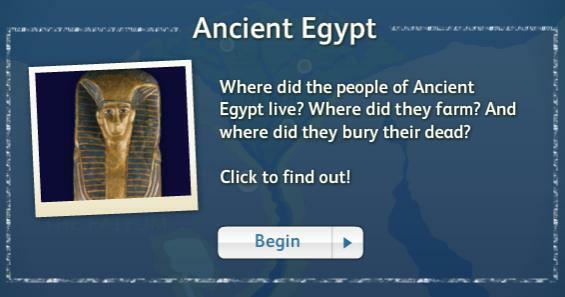 Experience some of the realities of being an archaeologist by playing Hunt the Ancestor. Students research the internet to find information about the European explorer Hernando Cortes. Students find information about the country he sailed from, the years of his explorations, the purpose of his exploration, destinations he visited and Cortes' main accomplishments. Students locate one picture of Hernando Cortes for their poster. Students use one of the templates below to create a poster using their information and image. On line Translator of your language into Mayan Glyphs ! Play a traditional game, paper sumo. 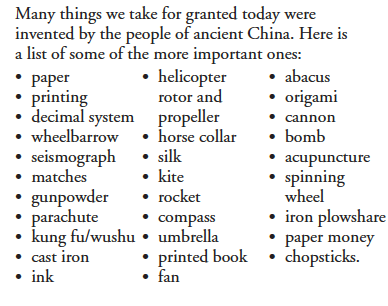 Directions: Choose one of the ancient inventions from the list below (circle which invention you choose). 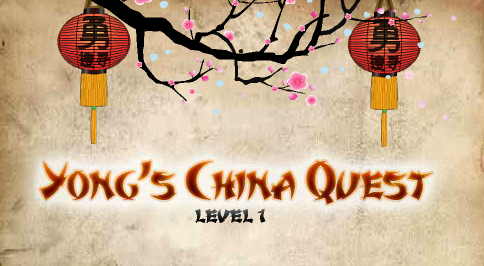 You will be creating an advertisement for an ancient Chinese invention! You will first research to gather information about the invention. You will then create your advertisement in Microsoft Word. 1. When was the Indus Civilization? 2. 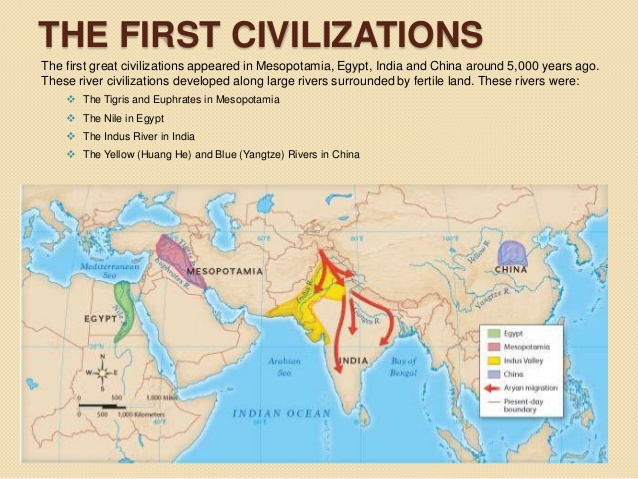 Where was the Indus Valley?. 3. Was the Indus Valley a peaceful place? 1. How many Buddhists are there in the world today? 2. What was the Buddha's name when he was a young man? 3. When and where did he grow up? 4. Describe each of the Four Noble Truths. 5. 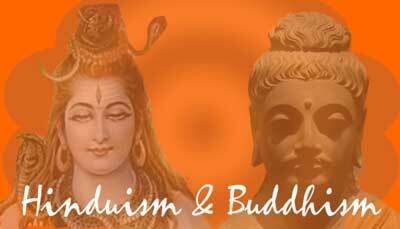 List the four Buddhist symbols. 2. Why are many Hindus vegetarians? 3. What animal is sacred to Hindus? 4. What river is sacred to Hindus? 5. How many Hindus are in the world today and where do most of them live? 6. Where does the word "Hindu" come from? 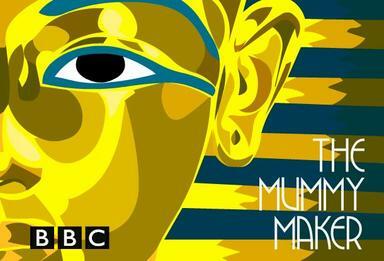 ​learn about life and death along the Nile. 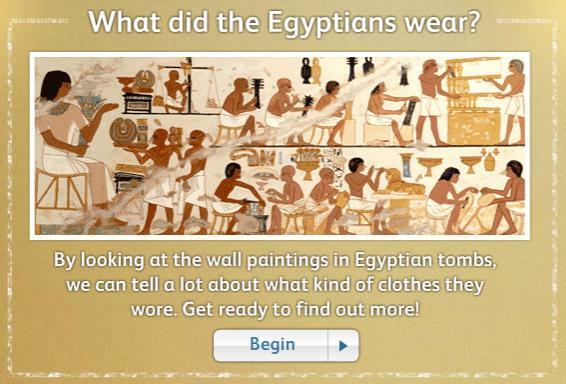 ​learn about clothing in ancient Egyptian times. 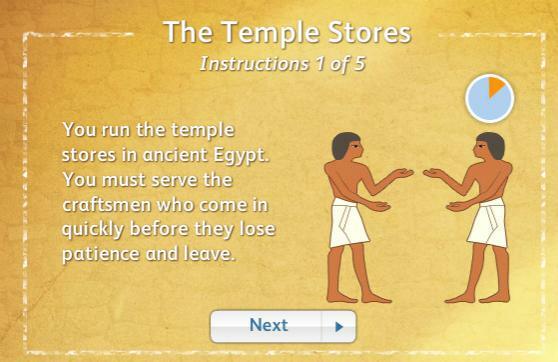 ​supplies in the temple stores? The Epic of Gilgamesh is one of the oldest recorded stories in the world. Describe Gilgamesh according to the story. Why were scribes very important people in Mesopotamian Society? 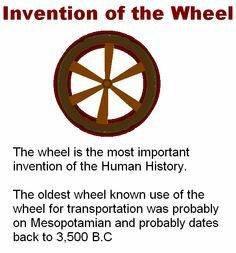 Why was the Invention of the Wheel so Important? 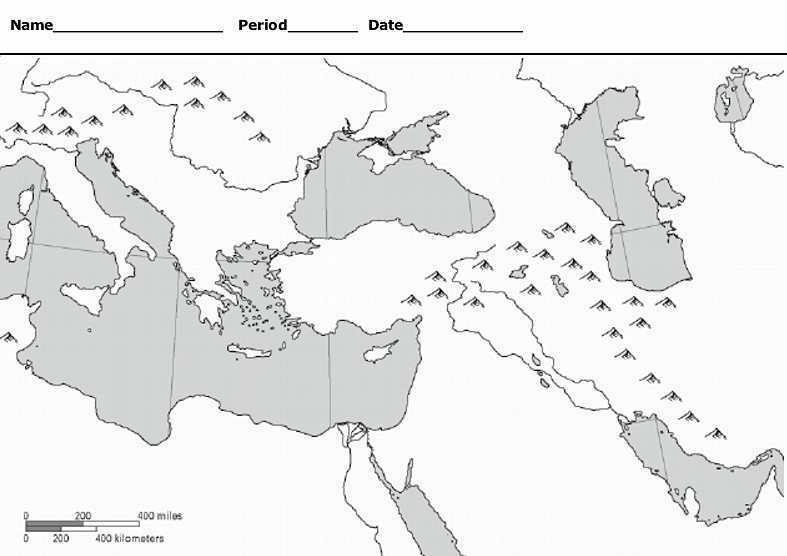 How did farmers in ancient Sumer grow crops in a land without much rainfall and with a limited water supply? You are the eldest son in a family of farmers. Your father has gone away for a year and left you in charge of the family's three fields. Below you will see your three fields and a list of activities you and your brothers could perform. Remember, you must try to farm all of your fields at once to get the greatest harvest. At different times of the year, you will see the local water controller direct water to the irrigation ditch next to your field. You can let water into your fields by clicking on the 'water' button. If you miss this opportunity, you will have to wait until his next visit. Good luck. Life in Mesopotamia - Ancient Mesopotamia is considered the cradle of civilization because the Mesopotamians developed many things that we take for granted in our modern lives, such as agriculture, language, cities, religion, and government. 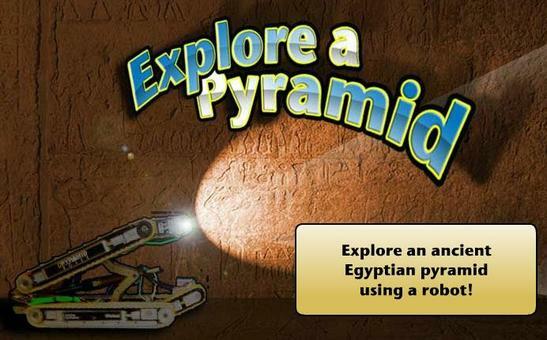 Dig Into History: Mesopotamia – Dig for ancient Mesopotamian artifacts in this interactive website. 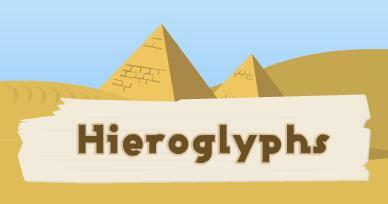 Mesopotamia Timeline Project Today you will continue working on your timeline about the history of Mesopotamia. Remember to select at least five significant events from Mesopotamia's history, arrange them in chronological order with dates, and include an image and description of its importance with each event. Additional directions on how to make your timeline can be found with the assignment History of Mesopotamia Timeline, which is in your Social Studies folders. You may want to use your Social Studies textbooks, Mesopotamia assignments, and trusted websites as resources to help you find the events and dates for your timeline. Why do they call this area the "Fertile Crescent?" Download this blank map, title it with your name, and label it with the bodies of water and geographical locations. Put the names of these places in the correct locations. 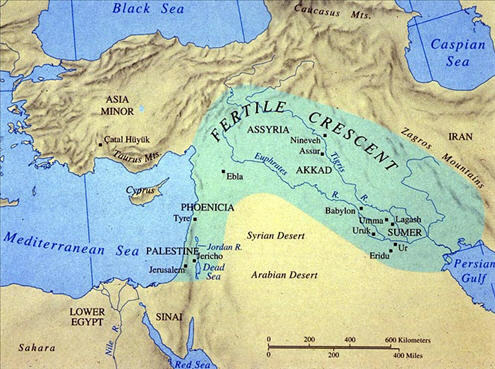 When you are all done, use a green colored pencil to color in the "Fertile Crescent"
and write below in the comments why you believe this area was called the Fertile Crescent. Imagine yourself as a time-travel tour agent. 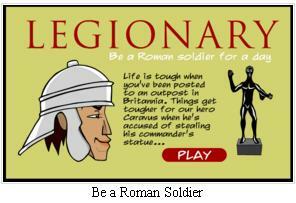 Your task is to create a tri-fold brochure to promote travel back to Ancient Rome. Your travel brochure will present five topics to help tourists understand where you are taking them and what they will learn about Ancient Rome. Be sure your travel brochure is informative, graphically interesting and historically correct. You will be creating your travel tri-fold brochure using the brochure template. You will use this template as a model for your own brochure. Provide a Title for your Ancient Rome travel brochure. Include your first/last name and Class #. Include at least one eye-catching graphic. Write a paragraph (at least 4 sentences) giving information about Ancient Rome’s location, geography, climate, weather, or a summary that excites tourists to want to visit Ancient Rome. Provide a Title for the topic of your choice. Write a paragraph (at least 4 sentences) giving information about your topic. 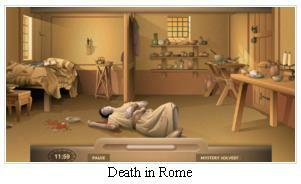 Be sure it gives enough interesting details to excite tourists to want to go see Ancient Rome. Repeat this process for pages 3, 4 & 5. You must cite where your information came from to create your brochure. Make sure you cite at least 3 different sources used for researching your Ancient Rome topics. 1. 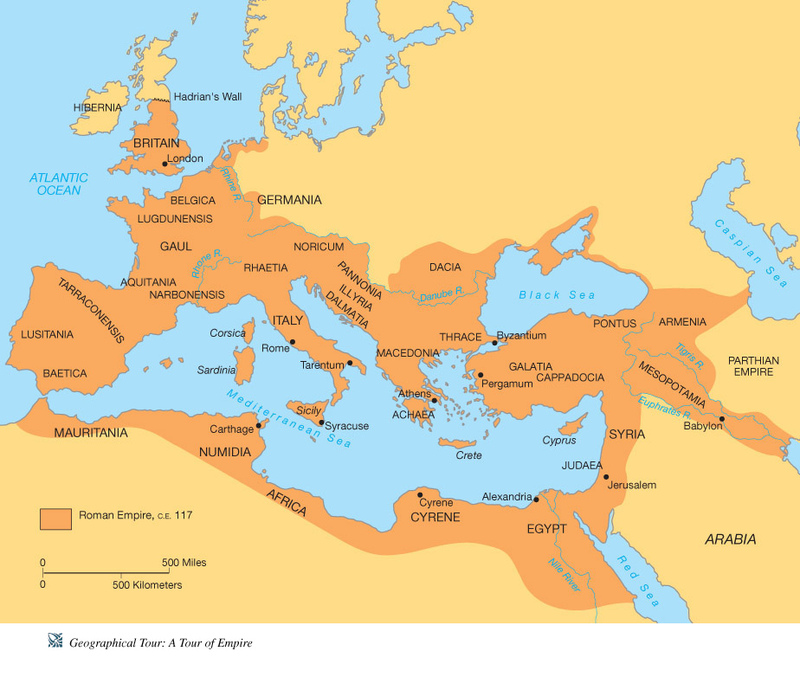 Rome is located in __________, which is a peninsula that sticks out into the _____ Sea. 2. What is the shape of this country ? ______________. 3. Who is given the credit for founding Ancient Rome? 4. Romans were beginning to write philosophy, through most of it was pretty much just translating Greek philosophy into Latin. Ancient Greek philosophy is dominated by three famous men. Name these men. 9. Roman scientific achievements are mostly in which two areas? 10. Very early Romans wore _______________. 12. Why did the Romans put so much effort into building roads? 13. 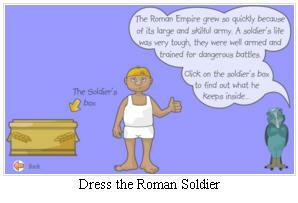 Name the two forms of burial practiced by the Romans. Match each month of the year with its origin. You will see that the names and origins have some similarities. Check your answers when you are done matching. The early Romans used a calendar in which each month had irregular lengths. At the end of every other year an extra month of 22 to 23 days was added. When Julius Caesar became emperor he had to add 90 days to this extra month to align the calendar back to the proper seasons. After doing so Caesar introduced the Julian Calendar in 46 BC. This new calendar had 365¼ days. The ¼ day was added between February 24 and February 25. This calendar is similar to the modern calendar we use today. Nine Men's Morris: Would you like to play an ancient Roman game? Visit this site to play Nine Men's Morris! Romans were very fond of board games! 1. TIME LINE: When was the Greek Classical Age? 4. MOUNT OLYMPUS: List FIVE Gods or Goddesses and explain power they possess. Slide 1: Introduction slide with the name of the city state and the name of the student. What kind of agriculture (farming) and food did your city state produce and eat? What kind of jobs did the people of your city state do and what were the social levels? What system of government did your city state have to direct people’s behavior and make life orderly? What are the beliefs and forms of worship in your city state and how did this affect daily life in your city state? What kind of culture or forms of expression (painting, art, sculpture, architecture, crafts, music, entertainment) did your city state have? What kinds of tools, weapons, and inventions did your city state have? What kind of written language did your city state use and how did they record the information? The Greek City States, 500 B.C. Which god or goddess are you ? 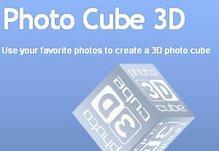 TASK: Create a PHOTO CUBE depicting the contributions of the Ancient Romans.